With Office 2007 radically reorganizing the way users think and work with applications — hopefully more for the better than for the worse — Microsoft is recognizing the possibility that other developers may want to copy the new suite’s distinctive style. For instance, if the collapsible ribbon catches on as a menu bar substitute, other vendors may want to try to capitalize. It seems there isn’t an aspect of intellectual property licensing with which Microsoft isn’t concerned in extensive detail. Today, the company announced a royalty-free licensing program for developers who want to make use of Office’s new, distinctive style. The question that naturally arises isn’t whether there are strings attached, but rather how many. Today the answer came: As Office 2007’s “chief stylist” Jensen Harris announced on his blog, along with the perpetual, royalty-free license will be a 120+ page document detailing the precise use of Microsoft’s meticulously designed features. For licensees to remain protected, they must abide by these guidelines, which will apparently be as extensive and strict as were the original Common User Access guidelines from IBM almost 19 years ago. As Harris describes: “If you choose to implement the Office UI, you sign up for the program by accepting the license terms and giving us a little bit of information about your product. There’s no fee, you don’t owe Microsoft any royalties, and the license is perpetual – meaning that the terms won’t change. A check of MSDN’s new Office UI licensing site reveals that the guidelines have yet to be completed, though the license itself is available, and mandates that licensees must follow those guidelines. A quick read of the two-page license does not indicate that licensees must disclose any information, or are under any obligation to provide any feedback to Microsoft whatsoever. So the extent of the “little bit of information” to which Harris refers, isn’t clear. However, the license does state that if Microsoft makes changes to its guidelines, or if the company believes a licensee is not in compliance, it will notify the licensee of the changes it needs to make to its software to remain in compliance, and give the licensee six months to produce adequate changes. 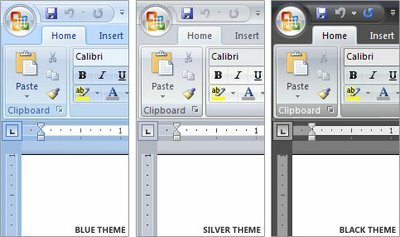 Microsoft has released a preview document with excerpts that provide some peeks into how extensive its Office UI guidelines will be. For example, with regard to the behavior of the ribbon, its contents must be capable of repositioning and realigning themselves when the application’s container window is resized. The document goes on to explain the multiple sizes of icons that appear in buttons within a ribbon, how the hierarchy of a ribbon category decides which sizes of icons appear (either the original or the smaller “variant”) when a container window is large, medium, or small, and how to decide which of the larger icons in a ribbon category represents the entire category when the window is at its smallest applicable size. As Microsoft general manager for the Office client Takeshi Numoto stated in a scripted Q&A on Microsoft’s corporate Web site today, the Office UI license isn’t necessary for companies wishing to build add-ins for Office, or new classes of so-called Office Business Applications (OBA). The license applies to individuals or companies that wish to produce new, stand-alone software that follows Microsoft’s established look-and-feel. If the preparation to defend the “look and feel” of Microsoft applications seems strangely, ironically familiar…it brings back memories of May 1989, when Apple was in the midst of a heated lawsuit against Microsoft for allegedly violating its “look and feel” for Macintosh. At that time, for the original Computer Shopper Information Exchange, I wrote the following about the first rulings in that landmark case, “It has been Apple’s contention that Microsoft violated a written agreement between the two companies licensing certain parts of the Macintosh ‘look-and-feel’ to Microsoft for specifically the original version of Windows. The ruling states that agreement does not extend to the current version of Windows. Fast-forward 17 years, and the chessboard is being set up again, this time with ribbons and variants instead of menu bars and trash cans – and this time without knowing who the opponent will be. This entry was posted in Microsoft, Office 2007. Bookmark the permalink.